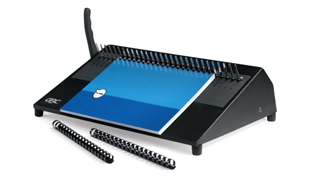 The GBC 16DB manual comb closer offers simplicity and ease of use when binding. Designed for simple operation and heavy duty production, the 16-inch CombBind finisher makes binding quick and easy with minimal fuss. Interested in the GBC 16DB?